$5Wk/$18Month, TUESDAYS 8-10pm, 8:30pm LateEntry Cutoff. 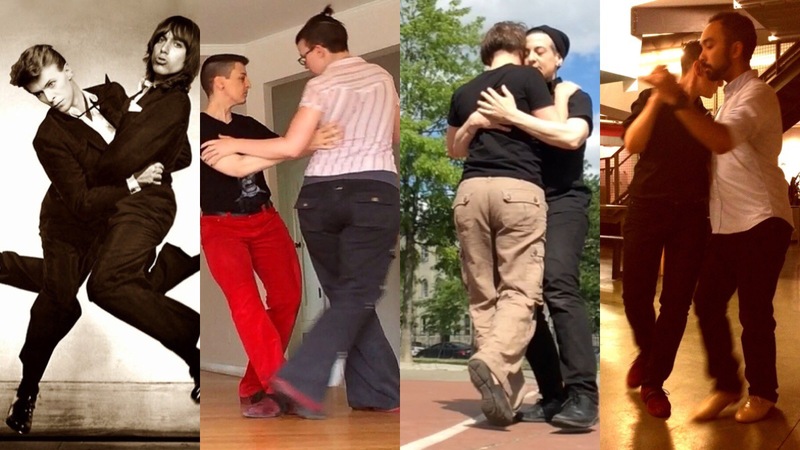 Weekly Facilitated Warmup+Practice in dancing Switch in Fusion (hybrid of 2 or more Social Dance Styles, Blues Basis). EvenUp the 3 Skillsets: Follow, Lead, Roletrades. Duets pass roles back/forth=Dancing Switch. Attendance 8-10pm Required. WEAR: casual pants+shirts w/ stretch+coverage in all directions, leather sole FLATshoes, or TWO Pairs Socks (yes,TWO). NO street shoes. LEVEL: 4 recent classes Partner/Social Dance. Know only 1 Dance role? We’ll catch you up. Beginners: get 4Pack of Privates prior to attending SDS at TIX link. Teacher-Led WarmUp is 20 minutes of joint release with breath, spatial awareness, aligned posture, easeful proprioception for Switch technique across dance styles. ===Partners change every 2 Songs. Ditch the idea of “Switching” as just a moment of roletrade action, instead integrate the Mindset of dancing Switch: a constant throughout every dance with all partners. In these Practice Sessions, we work all 3 Switch skills with every partner: Follow, Lead, Roletrades. We learn the interdependent proprioception that makes dancing Switch smooth and clear with consistency. ===Facilitators answer questions/sidecoach. Increased Spatial Awareness for Navigation is emphasized during Practice for better roletrades across styles. All dance with all: event is gender neutral, LGBT-inclusive, as we even up our 3 skillsets. ===We DJ Electronic Music that supports Fusion, Blues and Tango dancing: AltPop, R&B, ElectroTango, TripHop, Trap, ~40-60bpm. This team-oriented training environment encourages 4Person Practice Teams. Get new ideas during brief Facilitated Show & Tell: Practice Partners show their Switch Roletrades & Styling so we all exchange the wins of our Switch Dancing evolution. More details on FB/Eventbrite, your questions welcome by text.